If you’ve ever found yourself saying “This wasn’t supposed to happen” I know how you feel. I heard myself saying that at 19 years old when my father’s alcoholism was revealed and my parents divorced. Everything I found security in seemed to crumble beneath me. I found myself wondering why God didn’t hold my family together. My comfort came when I stumbled upon these verses in the Bible: “For my thoughts are not your thoughts, neither are your ways my ways,” declares the Lord. “As the heavens are higher than the earth, so are my ways higher than your ways and my thoughts than your thoughts.” (Isaiah 55:8-9). I chose to trust God that day, rather than question Him. And I can honestly tell you today — nearly 30 years later — that God has worked that entire situation for good in my life, in the life of my father who is now 30 years sober and ministering to countless other recovering alcoholics, and in the lives of my other family members. Did God cause those hurtful situations in my family? No. But He was able to work through them to bring some purpose out of our pain. 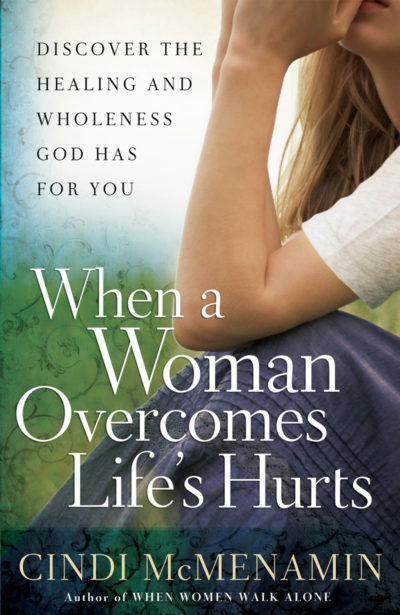 In my book, When a Woman Overcomes Life’s Hurts, I offer “10 Steps to Healing and Wholeness” and the first is: Realize there’s a reason and a purpose behind your pain. 1. The hurt you are experiencing did not take God by surprise. 2. Your hurt is not meant to punish you, but to polish your character. 3. If you surrender your pain to God, you can begin to see the beauty in it, rather than the bitterness. Can you take that HUGE step of trusting that God has a reason for the pain in your life? I’d love to hear from you. What has helped you realize there’s a reason and a purpose behind your pain? on This Wasn’t Supposed to Happen – or Was It?. Hi Cindi,i love your blog it’s so encouraging.My favourite scripture is Romans 8 : 28.that makes me realize that God can make my pain and use it for gain, and know tha will help others.Thank you. Thank you for your comment, Marianela. Yes, Romans 8:28 is very encouraging, reminding us that our Loving God is in control and sees the beginning and the end. Have a beautiful week in Him. I would like to express thanks to this writer for rescuing me from this trouble. Just after surfing around throughout the world-wide-web and seeing suggestions which were not beneficial, I thought my entire life was done. Living devoid of the solutions to the issues you’ve sorted out by means of this site is a crucial case, and those that would have adversely damaged my career if I hadn’t encountered your blog post. Your main understanding and kindness in touching all things was very helpful. I’m not sure what I would have done if I hadn’t come upon such a point like this. I am able to now look ahead to my future. Thanks so much for your impressive and amazing guide. I will not be reluctant to endorse your web site to any person who needs support on this issue. Thank you for your encouraging words. It is only through God and His Word that I can help anyone because that is where I found my help, too. I’m so thankful this morning that He was able to encourage your heart through my words. My prayers are with you. Oi, eu sou Mateus Askaripour, conhecido mais como Matt, foi convenientemente colocado dentro de uma família de cinco rapazes, em Long Island, Nova York. Obrigado por seu blog agradável. 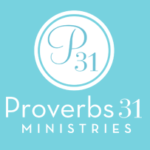 Your articles are always uplifting and now I find this new blog just as encouraging. I am always blesed. May God continue to help you inspire others.